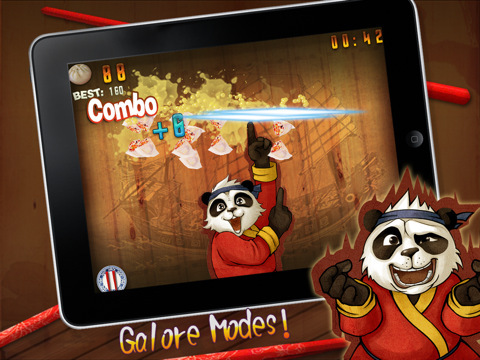 KungFu Food Panda HD was released recently and occupied TOP 100# in over 75% countries all around the world!! You will fully enjoy the Chinese traditional food in this game. You will be accompanied by the lovely Fu throughout the way. Wiping your drool, keeping your stomach empty and using your hands to enjoy the food! What more could one wish for if you have both Kung Fu and delicious food! This game is easy to control. Slide with your finger. With a graceful curve, all the food in the air will be yours!